Russian and Tajik languages are also widespread in urban areas. The basis of the Uzbek language vocabulary constitutes Turkic language and emerged on its basis new Uzbek words. 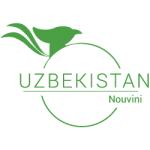 The modern Uzbek language is not only a mean of communication, it is also the language of a highly-developed public education, the language of socio-political, scientific and artistic literature, print language, literary language, which is widely used in all spheres of public life. Uzbek language was given the status of the state language of the Republic of Uzbekistan. A number of state programs have been developed for the implementation of language policies of independent Uzbekistan. Uzbek traditional cuisine is probably the best in Central Asia. The cuisine is adopted and modified from recipes of foreign merchants that once shared with the locals during the Silk Road times. The most popular Uzbek dishes are the following: pilaf, laghman, samsa, shurpa, manti, nahud, and shashlik. Pilaf (osh in Uzbek) is Uzbekistan’s signature dish. It is made of rice cooked in stock with oil, meat, spices, and carrots. Every Uzbek region has its own unique pilaf recipe. Laghman (also lagman) is dough noodles in gravy with small pieces of meat and vegetables. The dish was adopted from China and modified. Samsa is a triangular or rectangular pasty filled with meat, onion and little piece of broadtail fat, or with chopped potatoes or pumpkin. Samsa pasties are baked in Uzbek traditional clay oven tandir. Shurpa is a soup with mutton chunks and vegetables. Manti is steamed Uzbek dumplings with meat and potato fillings or pumpkin fillings – all with little broadtail fat pieces, onion and spices (cumin and pepper). Nahud is braised chickpeas (garbanzos) and mutton. Shashlik is Uzbek shish kebab made from a variety of meats and having a lot of recipes. Uzbekistan culture is vibrant and unique. It has been formed over millenniums and has taken in traditions and customs of various nations settled on the territory of today Uzbekistan. The main contribution to the development was made by ancient Iranians, nomad Turkic tribes, Arabs, Chinese, Russians. Traditions of multinational Uzbekistan reflected in the music, dances, fine art, applied arts, language, cuisine and clothing. Population of the republic, especially rural population revere traditions deeply rooted in the history of the country. The Great Silk Road played a great role in the development of Uzbekistan culture. Being the trade route, it ran from China to two destinations: first one was to Ferghana Valley and Kazakh steppes and second route led to Bactria, and then to Parthia, India and Middle East up to Mediterranean Sea. The Silk Road favored to exchange not only goods, but also technologies, languages, ideas, religions. Thereby the Great Silk Road led to the spread of Buddhism on the territory of Central Asia, where you still may find traces of Buddhist culture: Adjina-tepe in Tadjikistan, Buddhist temple in Kuva, Ferghana valley, Fayaz-Tepa near Termez in Uzbekistan and etc. Music and musical instruments traveled together with vagrant musicians following caravans, and secrets of paper manufacture, iron coining and embossing also moved from country to country. In 1991 Uzbekistan obtained its independence that promoted the rapid development of handicrafts and traditional applied art, rebirth of Uzbek traditions and customs, development of Uzbekistan traditional culture. Uzbek traditional cuisine is probably the best in Central Asia.